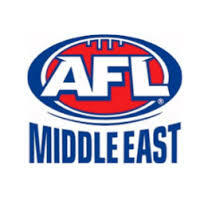 Next month the new AFL Middle East season gets under way for the 2018/19 season. It will again be a fascinating battle with the four teams seeking to break new ground. Reigning champions, the Dubai Dragons. Have already created a dynasty that may never be surpassed. With four flags in a row, and six in the past seven seasons, the Dragons sit on a level of success rarely seen. They want a fifth flag. However, the Multiplex Bulls have been hurting since March and are keen to erase the memory of recent grand final losses to write themselves into the history books. Their arrival in the league has seen four years of heartache, yet to win a flag. The most improved team last year was the Abu Dhabi Falcons. It would not appear so from their ladder position, again finishing third, but their on-field performances were consistent. They will be aiming to reach the grand final at the very least. The Entertainer Dubai Dingoes has a forgettable season in 2017/18. But they are a proud club and will have left no stone unturned in finding ways to return to their competitive best and challenge for finals. The league will not yet see the Bahrain Suns. The club is still working on finding sufficient layers to be competitive and will likely wait another season. However, they are in the mix this year, hosting the pre-season cup in October. Once again, the Doha Kangaroos from Qatar will be missing. Political and economic constraints mean the club cannot commit to a full season of travelling. However, they will still be running their local Auskick programs and continuing their local Doha GAA (Gaelic) team. The Muscat Magpies from Oman will be missing again from the home and away series, but will again be the host city for the annual International Rules clash. The mid-season tournament gives a chance for AFL Middle East teams to come together in Muscat and keep the Magpies in the mix until they can return to full playing status. The new season will kick off with a Round 1 double-header in Dubai that features the grand final rematch between the Dragons and the Bulls. The Falcons and Dingoes will play the other match.